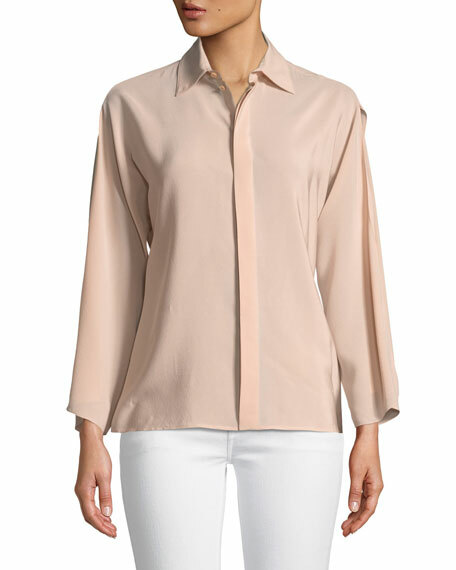 Ralph Lauren Collection "Karen" silk blouse. 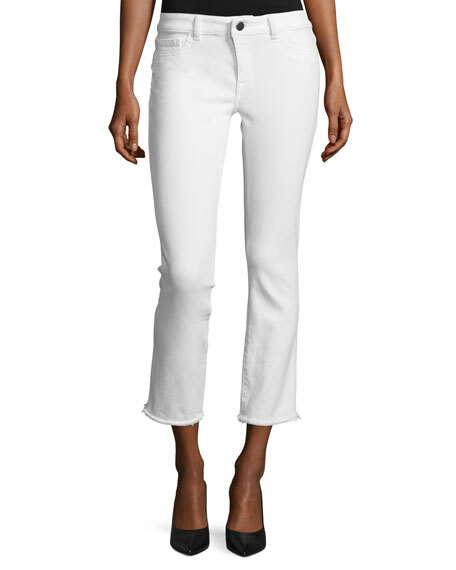 For in-store inquiries, use sku #2430399.
rag & bone/JEAN in bright white wash. Five-pocket style. 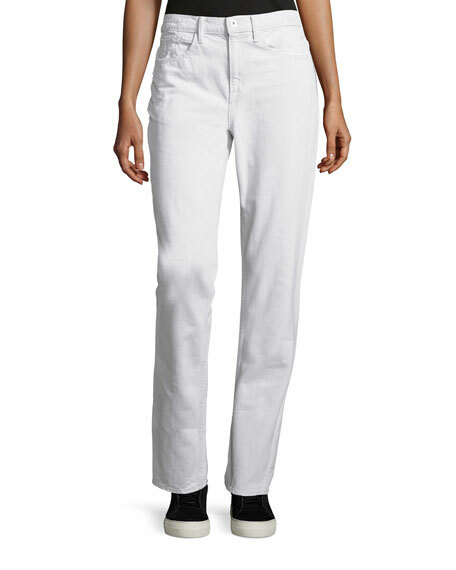 Rise sits below natural waist. 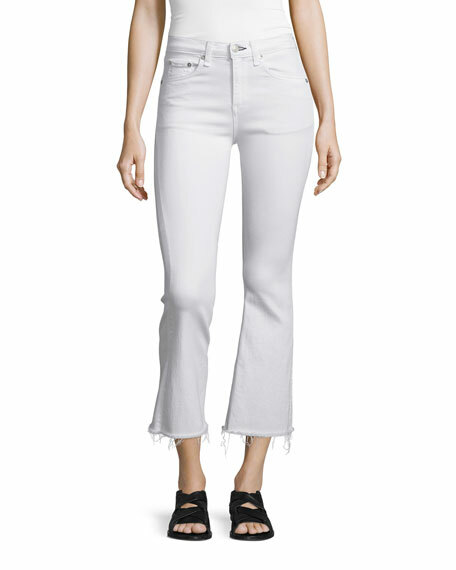 Fitted through thighs; flared from knee. 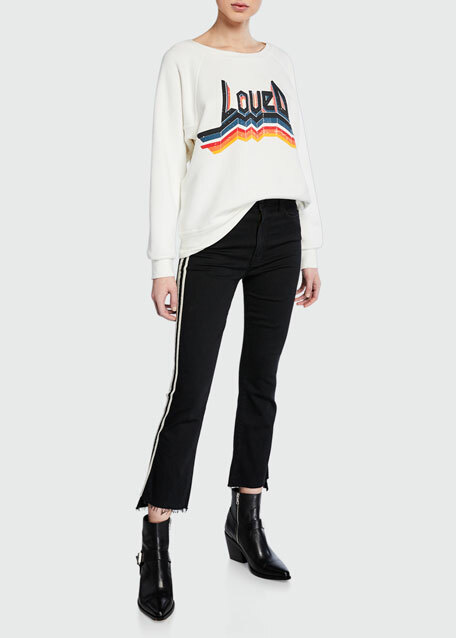 Cropped above ankle; raw-edge hem. Button/zip fly; belt loops. 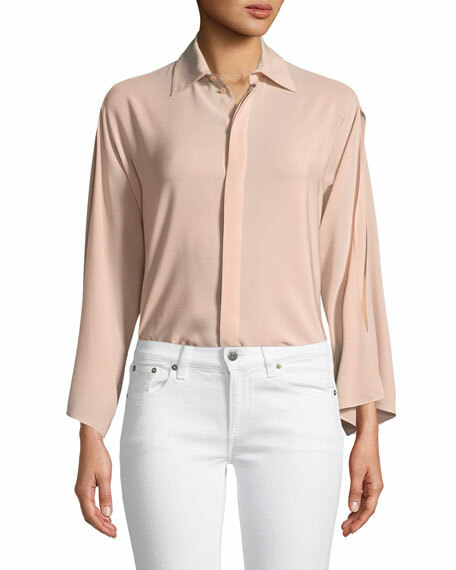 Viscose/cotton/Tencel lyocell/polyester/spandex. Made in USA of imported material.